“Broad City” has not been nominated for an Emmy. Let’s repeat that, simply because it bears repeating: “Broad City,” a bonafide game changer for Comedy Central as well as the comedic landscape in general, hasn’t been given so much as a polite nod from the TV Academy or HFPA (who hands out Golden Globes). Thankfully, another season is upon us, and wrongs can be righted. The latest season of “Broad City” is one filled with as much joyful tales of friendship as before, but also finds Abbi Abrams (played by Abbi Jacobson) and Ilana Wexler (Ilana Glazer) dipping outside their comfort zones. Abbi started a relationship she wasn’t proud of, and Ilana came to terms with her true feelings about what she convinced herself was a casual fling. The duo also ventured outside their beloved city of New York, first to Philadelphia (for a trip to Abbi’s childhood home) and then on a birthright trip in the two-part season finale (which concludes Wednesday). Indiewire spoke with Jacobson and Glazer about nabbing some talented guest stars, the development of Season 3, the challenges within the writing process as both stars and showrunners and getting such incredible guest stars. Below, we’ve outlined a few awards the TV Academy might want to consider tossing toward “Broad City” — you know, so they don’t forget again — with added commentary from the two creators for proper context. 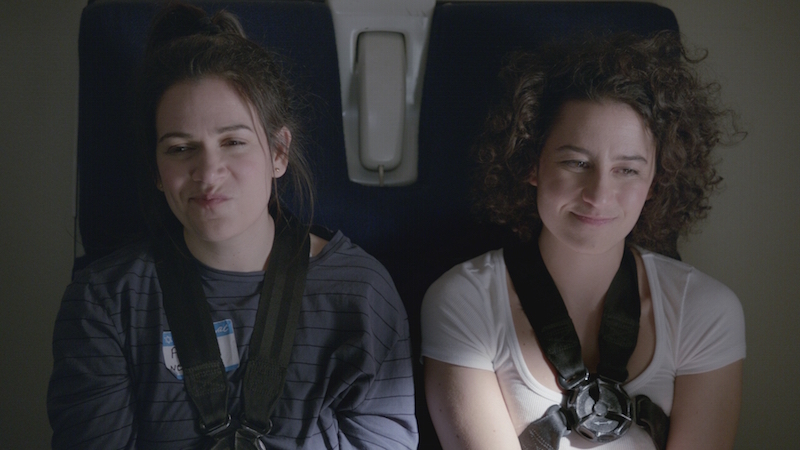 While it’s hard to top landing Hillary Clinton, the “Broad City” gang wasn’t afraid to try. And boy oh boy did their bravery pay off. Los Angeles Clippers star Blake Griffin, after making it known how much he loved the show, had a part written specifically for him in “B&B-NYC,” and his character’s sexual escapades with Ilana proved to be as hysterically entertaining as they were physically impressive. Considering our original notes on the episode read, “Blake Griffin! Incredible naked scene,” we’d have to agree. Oh, did we kind of brush by the guest appearance of U.S. Secretary of State Hillary Rodham Clinton? We’re sorry. There was no disrespect implied. Really, we just needed to rank her higher on the list. Casting one of only a handful of people who could become the leader of the free world in less than a year — not to mention an utter badass already after eight years in the Senate and four years in her current role — had to be quite the get. 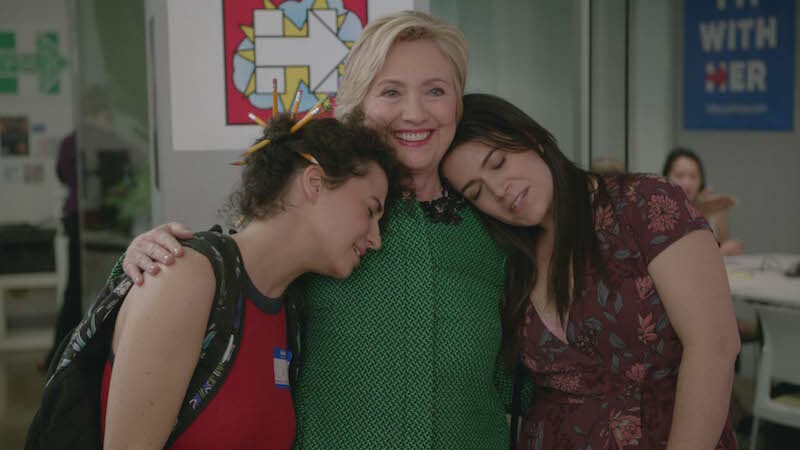 Moreover, considering her presidential campaign is in full swing, going on a show as risque as “Broad City” could prove, well, risky for the candidate. While we’ll soon be digging into the season’s best episode — “Burning Bridges,” Episode 8 — it’s important to highlight challenges that go into writing for specific stars. While Glazer and Jacobson admitted they had a Plan B in case Clinton’s guest appearance didn’t work out, producing the best possible version of an episode isn’t easy — especially when you have to write more than one version that’s perfect. It’s safe to say that even when you can’t write the element that Blake Griffin brought to the episode, you still have to know how to write to that element. Glazer and Jacobson certainly did, and they’ve proven over these past three seasons they’ll always get the best out of their scripts. This really doesn’t need an explanation. Watch the video above. Enjoy. Then watch it again…and again…and again. Maybe after four viewings you’ll be able to catch every little detail in this beautifully timed opening to Season 3. Jacobson had a number of compelling moments in Season 3, but Glazer pointed to a very specific instance of comedic supremacy when asked for a favorite scene from her co-star. “That’s so sad!” Glazer said. Even if “Burning Bridges” wasn’t your favorite episode from Season 3, that’s only a testament to how many great episodes there were to choose from; leaving no question the season kept the show’s hot streak alive. For three seasons running, Glazer and Jacobson have been creating smart, relevant comedy beyond compare. It’s easy to forget they started as a web series — a web series that ran for more than four years. It certainly is, and it’s deserving of all the awards it can get.